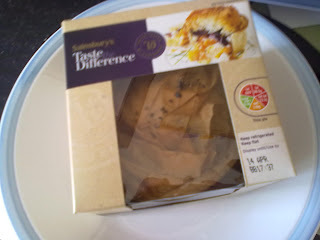 Sainsbury's have really given us something to write home about recently, with their Pieminister commemoration pie and now their extraordinary Taste the Difference Roasted Butternut Squash and Feta Cheese with Filo Pastry Pie. 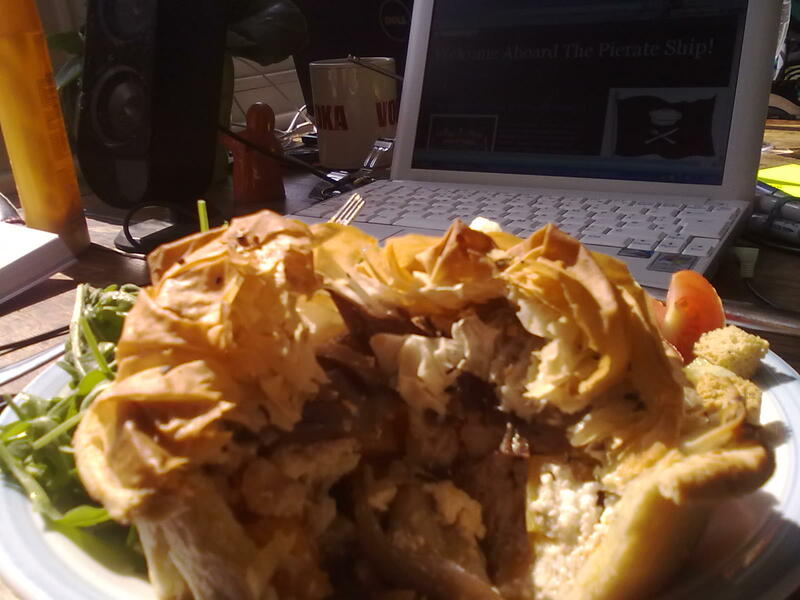 It certainly looks the part with its filo pastry "crown", (full marks there) but is it actually any good? 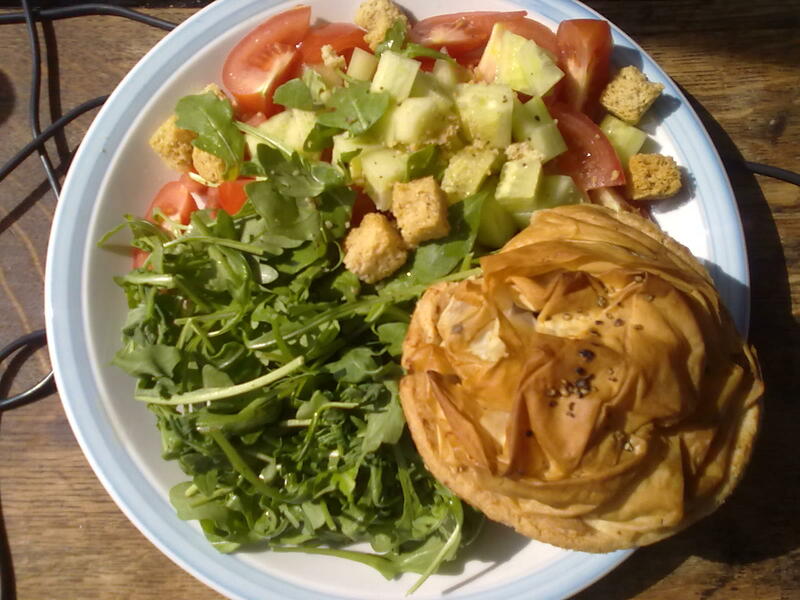 Being careful not to disturb the delicate filo pastry crown when I cut through it with the knife, I open up the pie to find a delightful combination of feta cheese, butternut squash and red onion. Since this is a vegetarian pie it is not possible to comment on chewiness of the meat, but the content is very pleasing to the eye and to the palate. It is perfect for the sunny weather, and I don't actually miss the meat as much as I thought I would. I love the filo pastry addition - something which I think is very underused. 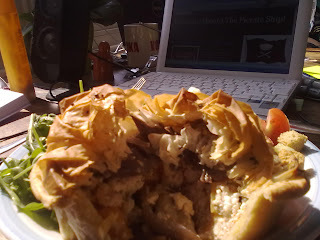 In future I'd like to see more creativity with the pastry in more pies (as long as it does not deviate from the rules of what makes a pie a pie). Great work. I am a big fan of this pie.